Sydney SKA-BQ rolls into town on Sunday! The MSO SKA-BQ dates are taking it back to the old skool and embracing every element that emulates the Ska scene. 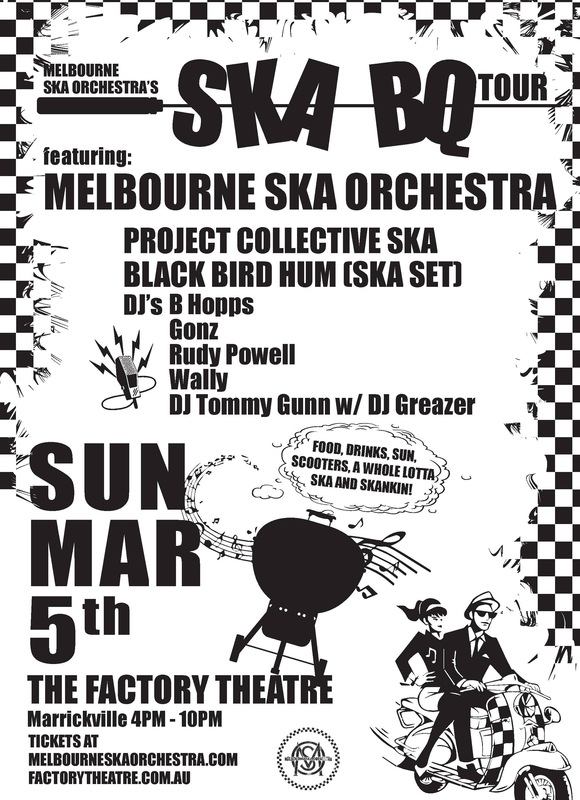 At The Factory Theatre on Sunday March 5th, punters can expect a mini festival vibe filled with smokin BBQ’s, drinks, scooters, a whole lotta Ska and of course skankin’ galore! With an awesome line up that features MELBOURNE SKA ORCHESTRA, BLACK BIRD HUM (Ska Set), PROJECT COLLECTIVE SKA & DJs: B HOPPS, GONZ, RUDY POWELL, WALLY & TOMMY GUNN w/ DJ GREAZER. Prizes will also be awarded for Best Dressed and Best Dancer on the day! 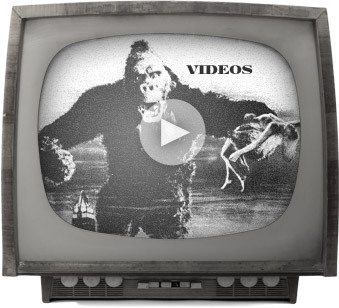 “We’ve been talking about this for a long while and now it’s here. All the things we love…Ska Music, Good food, Scooters, drinking and friends. SKA-BQ vibes all around Australia and we’re smiling from ear to ear. Style up and join us on a Ska celebration that’s quintessentially Australian!” says band leader NICKY BOMBA. There will also be a limited edition print from Brisbane artist Linda Zucco up for grabs at the show! Check out our Facebook page for more info. Starting at 4pm, it finishes at 10pm – so get on down early to enjoy the summer vibes.